Everything's going Adam Levine's way, right? 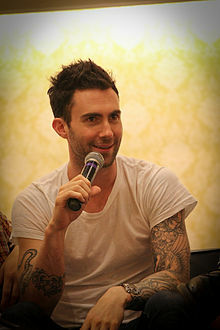 He has a hit TV show, and has sung lead on three giant hits in the past year, Maroon 5's "Moves Like Jagger" and "Payphone" and Gym Class Heroes' "Stereo Hearts." (Combined sales: 11,812,000). Well, the Billboard charts are working to keep Levine humble. "Payphone" has so far been unable to rise above #2. And now Maroon 5's latest album Overexposed debuts at #2 behind the latest by fellow L.A. band Linkin Park. But it was close. Extremely close. If Maroon 5's album had sold just 2K more copies, it would have taken the #1 spot. This is the group's second album in a row to just miss debuting at #1. Hands All Over debuted at #2 in September 2010. If it had sold 12K more copies, it would have seized the crown from Zac Brown Band's You Get What You Give. Levine has been on such a roll lately that he can't get too upset at just missing out on two #1 albums. Even so, most artists don't like to come in second—especially when it's this close. But it's not like Maroon 5 has never had a #1 album. 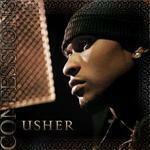 Its 2007 album It Won't Be Soon Before Long debuted in the top spot with sales of 429K. 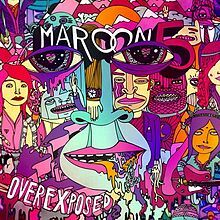 Overexposed starts with sales of 222K, which marks a healthy jump over Hands All Over, which opened with sales of 142K. Incidentally, Hands All Over has become a solid hit despite that so-so debut. It has sold 1,132,000 copies. 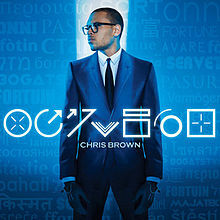 It rebounds from #115 to #37 in its 89th week on the chart. Overexposed is #1 on Top Digital Albums. 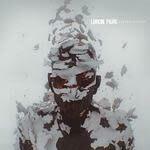 It sold 134K digital copies, compared to 122K digital copies for Linkin Park's Living Things. Linkin Park and Maroon 5 are on very similar release schedules. Their last two albums were released one week apart. This time around, the two bands went head-to-head. Living Things is Linkin Park's fifth #1 album. Only three other hard rock bands have landed five or more #1 albums. Led Zeppelin leads the pack with seven. Metallica and Van Halen have also had five. Linkin Park's previous #1 albums were Meteora, Collision Course (with Jay-Z), Minutes To Midnight and A Thousand Suns. Living Things also enters the Official U.K. chart at #1. It's the band's third album to reach #1 in both the U.S. and the U.K. Only one hard rock band has had more "transatlantic #1" albums. That's Led Zeppelin with six. Metallica has also had three. Only five albums have logged more than 71 weeks in the top 10 since 1963, when Billboard combined its separate mono and stereo charts into one comprehensive listing. 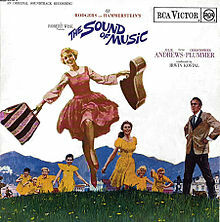 They are: The Sound Of Music soundtrack (109 weeks), Bruce Springsteen's Born In The U.S.A. (84 weeks), Michael Jackson's Thriller (78 weeks), Def Leppard's Hysteria (78 weeks) and Alanis Morissette's Jagged Little Pill (72 weeks). Which means if 21 spends one more week in the top 10, it will tie Pill for the longest run in the top 10 by a female solo artist. Will Adele do it? Stay tuned. Shameless Plug: 21 sold 3,668,000 copies in the first half of 2012, which is more than any other album has sold in the first half of the year since 50 Cent's The Massacre blew through 4,022,000 copies in the first half of 2005. 21 sold more copies in the first half of this year than it did in the first half of 2011 (2,517,000), when it was a new release. It's the first album to finish as the top-seller of the first half of the year twice since Nielsen SoundScan began tracking sales for Billboard in 1991. Otherwise, the album sales news was grim. 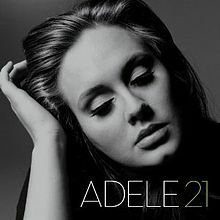 21 was the only album that sold 1 million copies in the first half. Eleven albums sold 500K copies. This is down from past years. 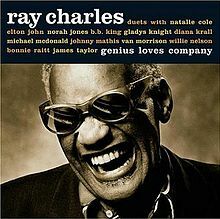 I'll have all the news in a Chart Watch Extra on album sales in the first half of the year that will be posted shortly. One Direction's Up All Night logs its 16th straight week in the top 10. In addition, the boy band's DVD, Up All Night: The Live Tour, is #1 for the fifth week on Top Music Videos. 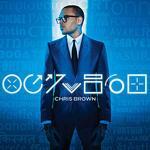 It sold 18,000 copies this week, bringing its five-week total to 178K. 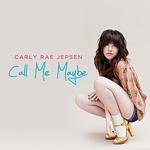 Carly Rae Jepsen's "Call Me Maybe" holds at #1 on Hot Digital Songs for the seventh straight week. Only one other song has had seven weeks at #1 so far this year. That's "We Are Young" by fun. featuring Janelle Monae. Will "Call Me Maybe" also hold at #1 on the Hot 100? Probably, but you'll find out for sure later today when we post Chart Watch: Songs. Shameless Plug II: I'll also have a Chart Watch Extra on digital song sales in the first half of the year. It'll go up tomorrow morning. The Top Five: Linkin Park's Living Things debuts at #1 (223K). It's the band's seventh top 10 album; its fifth #1…Maroon 5's Overexposed debuts at #2 (222K). It's the group's fourth top 10 album…Justin Bieber's Believe drops from #1 to #3 in its second week (115K)… Maybach Music Group Presents: Self Made, Vol. 2 debuts at #4 (98K)… R. Kelly's Write Me Back debuts at #5 (68K). 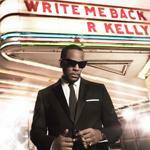 It's Kelly's 14th top 10 album. The Second Five: Kenny Chesney's Welcome To The Fishbowl drops from #2 to #6 in its second week (61K). It's #1 on Top Country Albums for the second week…Adele's 21 holds at #7 for the second week in its 71st week (42K). It has been in the top 10 the entire time… One Direction's Up All Night holds at #8 for the second week in its 16th week (39K). The former #1 album has been in the top 10 the entire time…Usher's Looking 4 Myself drops from #6 to #9 in its third week (36K). It's the third week in the top 10 for the former #1 album…The Rock Of Ages soundtrack drops from #5 to #10 in its fourth week (28K). It's #1 on Top Soundtracks for the fourth week. Fiona Apple's The Idler Wheel Is Wiser drops from #3 to #11...Smashing Pumpkins' Oceania drops from #4 to #19… Luke Bryan's Tailgates & Tanlines drops from #9 to #13…Rush's Clockwork Angels drops from #10 to #26. 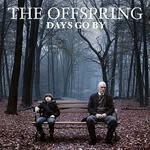 The Offspring's Days Go By debuts at #12. It's the band's seventh top 20 album (though it failed to follow the other six into the top 10)…The Pentatonix's PTX, Vol. 1 EP debuts at #14. The artist was the winner on NBC's The Sing Off…Memphis May Fire's Challenger bows at #16. Sleeping With Siren's If You Were A Movie, This Would Be Your Soundtrack bows at #17. This isn't the first non-soundtrack to have the word "soundtrack" in its title. 10cc had a top 15 album in 1975 titled The Original Soundtrack. 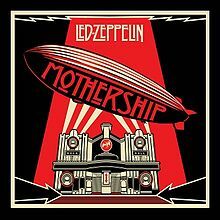 Led Zeppelin's 2007 album Mothership vaults from #157 to #20 in its 130th week on the chart. It jumps to #1 on this week's Top Catalog Albums chart. Now get this: This marks the first time that Led Zeppelin has topped the catalog chart since Nielsen SoundScan began tracking sales for Billboard in 1991. That's surprising because the band is one of the best-selling acts in music history. Led Zep has sold 24,561,000 albums since 1991, mostly due to catalog sales. Mothership, a two-disk album, reached #7 in December 2007. Chris Cagle's Back In The Saddle debuts at #27. The title plays off Gene Autry's 1939 classic "Back In The Saddle Again," which the singing cowboy sang in the movie Rovin' Tumbleweeds. Autry's recording is in the Grammy Hall of Fame. Aerosmith had an original top 40 hit titled "Back In The Saddle" in 1977. Ted was #1 at the box-office over the weekend.